Visited the VA while I’m in the US. There’s a new system called “My Health-E-Vet”. Note: Please, allow up to 20 business days to complete the Online Authentication process. I stand in utter awe of this level of incompetence and bureaucracy. I don’t think I could achieve it if I made an active effort. One characteristic which distinguishes US bureaucracy is resource intensiveness. This entry was posted in Wasteland on October 12, 2013 by RomanInUkraine. How badly does Ukraine need gun ownership? One of the owners of the L’viv-based, multi-million dollar video game company, Nravo, was murdered by a knife-attack in the entrance to his home. The perpetrator didn’t take any money. Dear Ukrainians, it is neither democracy nor law-abidingness which creates a wealthy society. Hell, most of what the Bolsheviks did was in accordance with the laws they themselves passed. A wealthy society arises when there are property rights. This entry was posted in Business & Prices, Wasteland on August 28, 2013 by RomanInUkraine. This entry was posted in Business & Prices, News & Views, Wasteland on June 22, 2013 by RomanInUkraine. It happened in the village of Chausove in the Mykolaiv Oblast. The owner of the raided agriculture business is an opposition politician. It says guards and farm workers repelled the first attack. Then the attackers brought out pistols and shot guns and split into two groups — one continued pressing the front gate, and the other went around the side. The owner wrote that he called the police, but they ignored the incident. He wrote on his Facebook page that there were 80 attacked with pistols and shotguns. He accuses Mykolaiv region governor Mykola Kruglov and general attorney of Ukraine Viktor Pshonka of orchestrating the raid. It says the arrived in buses. No on was killed, but many were wounded, five seriously. I hate injustice. It’s hard for me not to imagine the defenses I supervised in Afghanistan, and how easily we would have slaughtered these attackers. Just one machine gun, hell, one rifle could have stopped this attack. The hooligans are usually poor guys who work out a lot. They’re not invested in their crime. So simple. One marksman on the roof of the factory, and everything would be fine. Of course, I had different rules in Afghanistan. I’m only thinking tactically. That’s a very narrow view. Here, such a defense would likely prompt a repose from the Ukrainian military on behalf of the corporate raider. Where the hell is that “Zbroya” organization? They should be promoting gun ownership as a solution to this problem instead of masturbating to pictures of uniformed soldiers. This entry was posted in Wasteland on June 18, 2013 by RomanInUkraine. My contact at the archives isn’t answering the phone. I look their number on the internet. The first number doesn’t work. The second rings and rings without an answer. An old woman answers the third number. “Is this the archive?” I ask. I’m surprised that she knows this, and glance again at their webpage. She says something I don’t understand. Her voice is old. Maybe she doesn’t know what a webpage is. “It doesn’t do any harm,” she says. “Oh, I don’t get that many calls,” she says. This entry was posted in Wasteland on May 22, 2013 by RomanInUkraine. This entry was posted in Wasteland on May 20, 2013 by RomanInUkraine. First of all, please excuse the vulgarity of this post. I’m making a point. I took this picture a couple months ago at a bus station. How is this travesty possible? 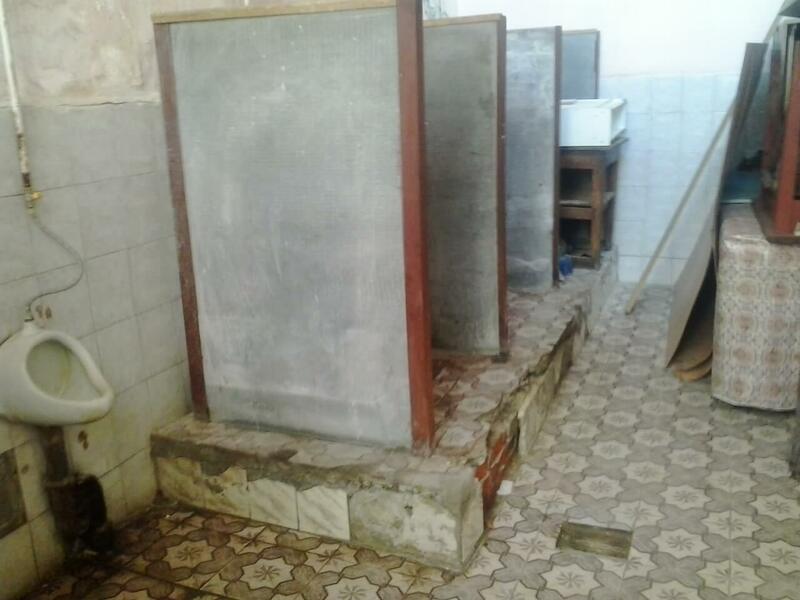 Shouldn’t paid toilets be of better quality than the free toilets which businesses (McDonalds, among many others) make available throughout Ukraine? Not so. Not at all. You see, the babushka is not a private owner. She’s not the innovative, risk-taking sanitation entrepreneur you might mistake her for. She is a bureaucrat squatting (no pun intended) on dilapidated, neglected Soviet era infra structure. What’s even more pathetic is the possibility that she paid a bribe to rise to her current position. This entry was posted in Wasteland on May 16, 2013 by RomanInUkraine. After the collapse of the Soviet Union, miners in the east homesteaded abandoned mines. Their efforts grew into a complex operation, but sadly, gangsters eventually took over (with considerable help from local bureaucracies which were — and are — indistinguishable from the gangsters). The title of this article translates as HOW DONBASS BECAME, INSTEAD OF NEW AMERICA, THE INDUSTRIAL MIDDLE AGES. Again and again and again: Half Ukraine’s problems would vanish overnight if everybody owned a gun. Americans who favor restrictions on guns are the spoiled inheritors of a private law culture that evolved with the frontier where people owned guns and found private solutions to the problems of security and justice. This entry was posted in Business & Prices, Wasteland on May 15, 2013 by RomanInUkraine. The owner tells me she denounces him every week. Writes to the city council. The denouncements don’t have the power they used. There is no firing squad or cattle train to Siberia, but they’ve entangled him in legal nonsense with the city. This entry was posted in Fooooood &drink, Wasteland on April 3, 2013 by RomanInUkraine. Thank you for the condolences I received on my previous post. I’m concerned, however, that this blog tends unfairly toward pessimism. In any case, the vast quantity of laws, regulations and codes leaves every entrepreneur scared that he might have violated one of them. There’s no way to be sure. Hence, success should be enjoyed quietly. Entrepreneurs have good incentive to hide any triumph over bureaucracy. Failure doesn’t invite a bureaucrat’s scrutiny the way success does. I’ve alluded to this before. 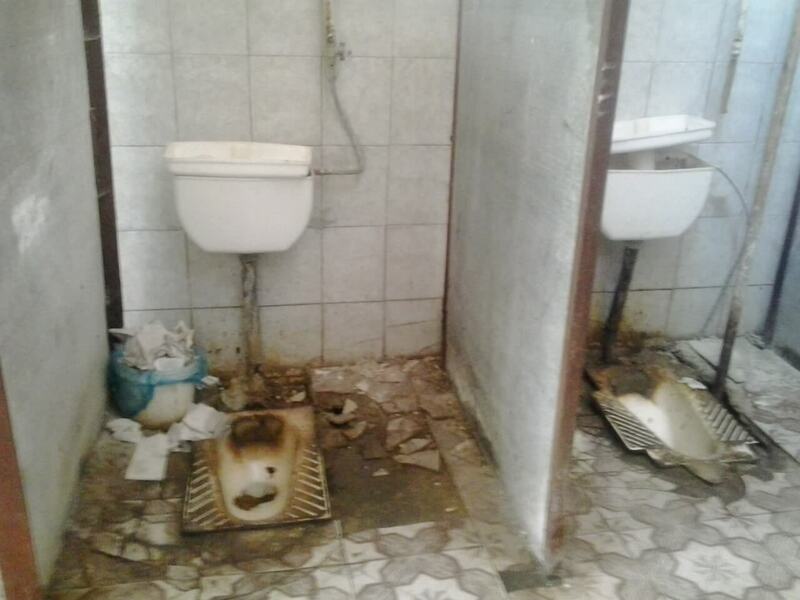 I think I’ve come to understand thee reason for Ukraine’s psychopathic bureaucracy. Where western bureaucracies were created from nothing in pursuit of a goal — education, food safety, building safety. Perhaps the worst you could say, they were created with this public goal, while the private goal was the establishment of monopoly privilege. They had to at least appear to be working. Ukrainian bureaucracy is an *imitation* of these failed systems of the west built atop the lingering habits and moral depravity of Socialism. There was no lustration as happened in central Europe. Ukraine inherited more Soviet bureaucrats and bureaucracies than did other post-Soviet states. This entry was posted in Wasteland on March 25, 2013 by RomanInUkraine. My landlord slipped a note under my door. It came from the Post Office. I had received a package. I had been expecting one — a French Press — a personal gift from a dear friend in Prague. I carried the note to the main post office where they told me to go to my local post office, number 18 or something. The next day, I walked to a post office near my apartment. They directed me to yet another one near the bazaar. At that post office, they told me packages are handled in the adjacent building, but they only worked until three pm. It was almost four. I left and made a mental note of the adjacent door, which had no sign or distinguishing markings. It did not seem like a post office, but it was the only thing even remotely matching the clerk’s directions. I returned the next day. The door opened into a small chamber which could have been foyer or waiting room. There was a table with one tall stack of papers leaning heavily against the adjacent cabinet. One of two chairs was occupied by a middle-aged woman who ignored me. I sensed her fanatical indifference to the world. She seemed capable of ignoring a locomotive, should one ever come crashing through the wall of that chamber. If indifference was a religion, she’d be a high priest. I felt very much the outsider in a world loathe to acknowledge me. Perhaps it was my own insecurity, but I felt like Alice who initially struggled for the attention of Wonderland’s denizens. They ignored her as another uninteresting fixture. “Is this the post office?” I asked, breaking the silence. I had the suspicion the lady would look right through me without seeing me. For some reason, I felt started by the fact of her reaction. She said nothing, but waved her hand to a door opposite the entrance. I tested it. Its bolting mechanism was sufficiently ill fit that the door gave a centimeter or so before the bolt banged against the latch hole. Immediately, I felt guilty of something, though I wasn’t sure what. The noise of the deadbolt had echoed in the chamber announcing my effort. Perhaps the noise condemned me as a sinner in this wonderland, guilty of desiring some outcome and working purposefully toward it. The lady’s indifference remained. One might think of a Buddhist monk, but without any hope of reaching of Nirvana. Hers was a more perfect harmony, without hope and without fear. If you ever find yourself by the bazaar, please find this door and peak inside. I suspect she’ll still be there. It occurred to me that I might not have sufficiently twisted the doorknob. Surely, anyone inside in the room would have heard the clatter. Should I test the door again? I waited, hoping for some sign of sentient existence beyond the portal. Nothing. I grabbed the door knob again, with both hands this time, twisted with all my strength. I clearly heard a latch-bolt retract, but when I pulled the door, again, what must have been a deadbolt pounded loudly against the latch hole. 1) The door was indeed locked. 2) The second chamber was almost certainly uninhabited, because any occupant would certainly have reacted to my noisy appeal. Though the outcome was unfavorable, I the issue’s resolution filled me with an albeit miniscule sense of accomplishment. I had tried exhaustively, but failed. Now it was time to move on. Perhaps this wasn’t the adjacent building they’d told me of. I would ask a local friend for help. Now it was time to move onto the next task. Perhaps the pleasant thought of leaving wonderland, of returning to civilization is what inspired a playful feeling in me. I flippantly rapped the door with my knuckles before turning contently. I walked half way across the room before the sound of an opening deadbolt froze me in place. I felt the hairs standing up on the back of my neck. Did I really hear it? Surely, a human would not have waited for me to knock. Surely, a human would have understood the meaning of clattering deadbolt in a public building during business hours. I turned slowly to the door, bracing for whatever demon or alien life form might hurl itself toward me. I felt my heart pounding. Looking at the door, I adjusted my stance, braced to move quickly, to dodge or to flee. Nothing. There was only silence. The door did not budge. Only it’s deadbolt had been pushed open by someone, or someTHING. Was this an invitation? Was it a dare? The woman did not return my gaze. I felt lost. I did not know the rules of this world and reminded myself that I had once been a paratrooper, that I was a three time combat veteran, a warrior and leader of men. I turned the knob and the door opened with a squeak. An office. Definitely an office. Perhaps a Post Office. Two desks. A woman at one of them. She doesn’t notice me. I had reassured soldiers en route to Afghanistan that things are much less scary up close. This certainly seemed to be the case here. I closed the door noisily. There was nothing to fear, but much to puzzle over. I surveyed the room. The strongest hint of a postal vocation was the cubby shelving on the wall. Other than that, it could have been any sort of office: Cabinets, two chaotic desks, one with an old Cathode Ray Tube monitor atop it. There was no sign of a computer. The strangest thing seemed to be the woman scribbling busily at one of the desks and not acknowledging me whatsoever. I imagined her ignoring the pounding of the deadbolt. I imagined her, annoyed by my interruption, eventually rising from her desk, slamming open the bolt and returning to her place. I stood in utter awe of her capacity to ignore me, and didn’t even think to say anything until she finally looked up from her work and said something so quickly that I understood nothing beyond the irritated tone of her voice. I did not react to her impatience, though, as my sensibilities had not yet adjusted to this strange world. I would have felt no less baffled had I discovered a troop of Kozaks sipping coffee in my kitchen one morning, their horses drinking from my toilet. She spoke again, pointing the scrap of paper which I had forgotten I was holding, the paper my landlord slipped under my door. For the first time since entering her office, I felt I was interacting with a human. My wonderment ended, and I stepped toward her, offering the paper. She responded angrily, indicating that she did not want the paper handed to her, but placed on the desk. Clearly, these were self-evident rules in this wonderland, and I, very much the clumsy, bothersome tourist. I placed it on the desk, and she immediately snatched it up. With surprising animation, she shuffled through some papers and boxes in one part of the room, then in another. She found my package, much to my delight, then placed in on the table and asked to see my passport. I signed two or three slips of paper, and she returned to her previous posture, huddled over her desk, scribbling. It seemed she no longer heard me, or saw me, but I was happy. I left, gently shutting the door behind me. The woman in the first room also seemed oblivious to my passing. This entry was posted in Wasteland on January 27, 2013 by RomanInUkraine. This entry was posted in Mostly Tourism, Wasteland on January 17, 2013 by RomanInUkraine. Q: How many signatures does it take to receive a water delivery in Ukraine? A: TEN! I couldn’t believe it. Exactly ten. I counted. I had two jugs (approx. five-gallons each) delivered for my water cooler. This was the initial delivery. Subsequent deliveries will only require three signature. On the other hand, Nova Poshta is emerging as a Ukrainian FedEx. They are professional, efficient and require only a single signature for deliveries. This entry was posted in Business & Prices, Wasteland on November 28, 2012 by RomanInUkraine. This entry was posted in Wasteland on November 3, 2012 by RomanInUkraine. He had gone to Ukraine to build a house, but told the FBI that once he learned he could not start construction as hoped, he decided to start drinking. This entry was posted in News & Views, Wasteland on October 22, 2012 by RomanInUkraine. The Party of Regions will either falsify the election, or they’re all going to prison. Expect to hear a lot of noise in about a month. It’ll sound like all hell is breaking loose. But you know what it means for you? [He was talking to a prospective American investor (not me).] Nothing. Business as usual. Ukraine’s economy is already 70-80% underground. I just want to warn you. “The European Bank for Reconstruction and Development (EBRD) has issued a loan of EUR 10 million to Ternopilmiskteplokomunenergo under full municipal guarantees under a pilot project to modernize Ternopil’s central heating system. The parties signed a relevant credit agreement in Kyiv on Friday. This entry was posted in Business & Prices, Wasteland on October 22, 2012 by RomanInUkraine.